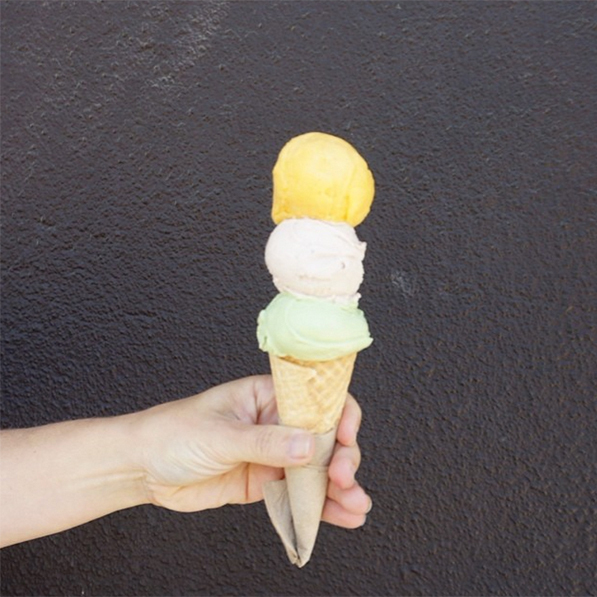 One of my favorite things to do as an activity is an Ice Cream Crawl. We started doing these after I moved to San Francisco and they are super fun. The concept behind it is simple: taste as many kinds of ice cream as possible to test them and proclaim a winner. I thought I would put together some tips for how to do one. 1. Plan out the Itinerary by Geography. Even though it’s tempting to add ice cream shops across town we just did shops that were close to each other. This saved us a lot of time driving around. 2. Timing. This takes me about 3 hours to do so it’s important to keep a fast pace or else you’ll only make it to a couple locations. I ask people to eat an early dinner and meet at 6pm. This has worked out well for us because we can wrap up before everyone has to go home and watch their Netflix and go to bed. To save on time we usually have one person jump out of the car as we arrive and get in line so they can order the ice cream. Then as soon as everyone tries it we quickly get back in the car to head to the next place. 4. Avoid the Lines. A lot of the San Francisco Ice Cream shops have long lines so this activity is best done on a random weeknight (not on a Hot Sunny Saturday!) We usually try to go to the ones with the longer lines first since lines are usually shorter earlier in the night. 5. Proclaiming the Winner. We use this little sheet and decide if each ice cream is rated 1-4. (4 is the highest!) Then at the last stop we tally all the votes and decide who the winner is. It’s a very scientific process. Ha! This is the kind of research I can get behind. 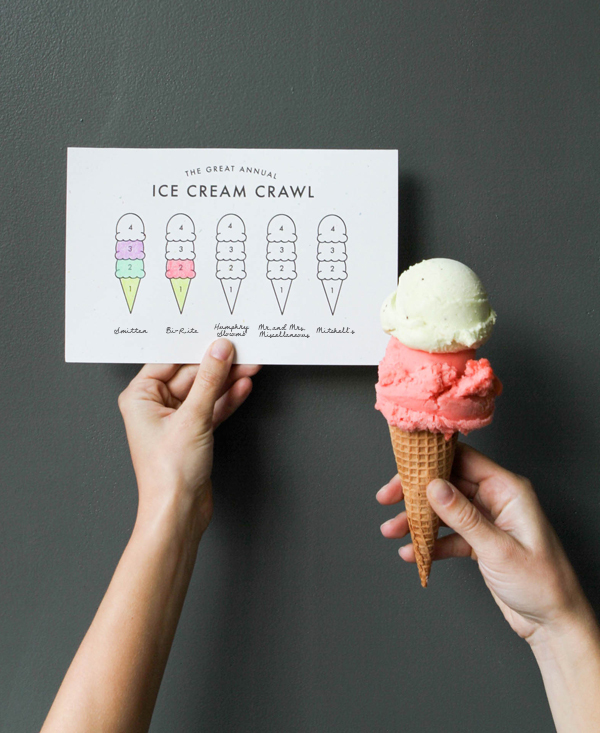 And THAT is how to plan an ice cream crawl. I’ve always wanted to try a donut crawl or even a Pizza Crawl sometime with a big group. 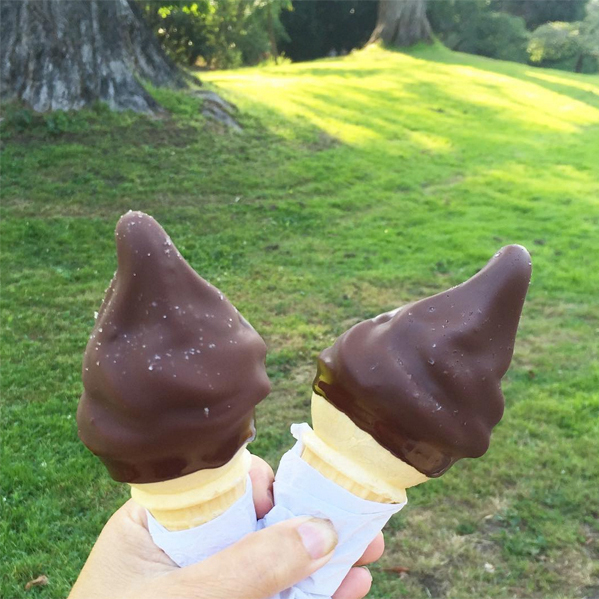 All photos from my Instagram because I eat too much ice cream. What a super fun and cute idea! Especially in SF where there are so many great places! Love it. My friends and I hosted a pizza crawl of our neighborhood (we have A LOT of pizza places… no complaints!) and it’s something we’re hoping to do every year. 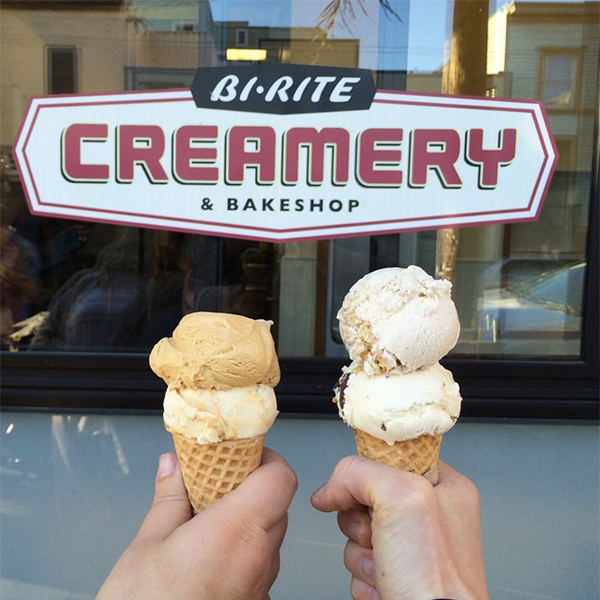 Maybe we’ll have to do an ice cream crawl to ring in the spring! Yeah Laura we will have to do an ice cream crawl (and we still need to do that donut crawl) to go with our Feast of St. Pizza. 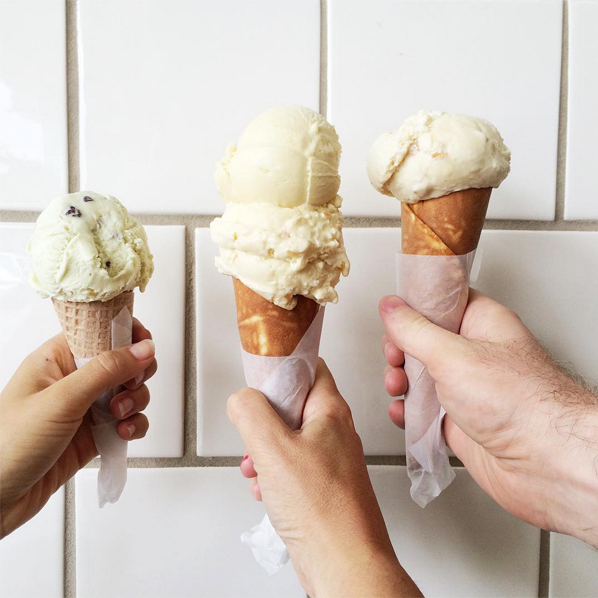 My friends and I are total suckers for ice cream. We’ve never done anything like this before at all! I’d love for us to give it a try. 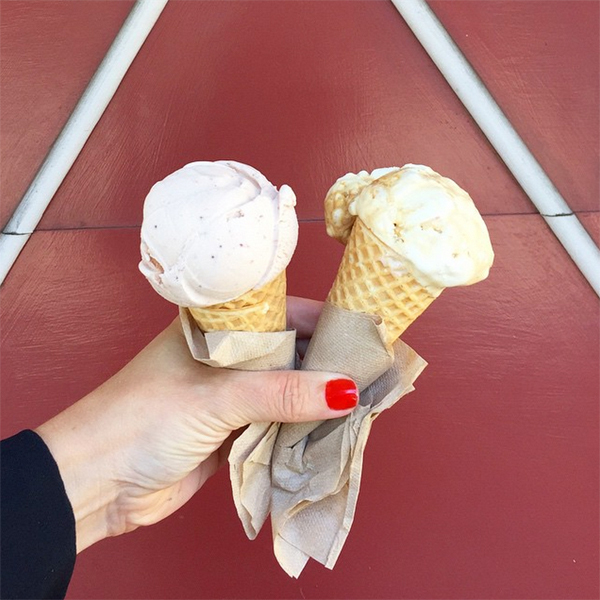 Cheers to ice cream…I just posted about a yummy one on my blog! What a great idea and you don’t even need to uber service on standby…unless your hypoglycemic! What a fantastic idea ! 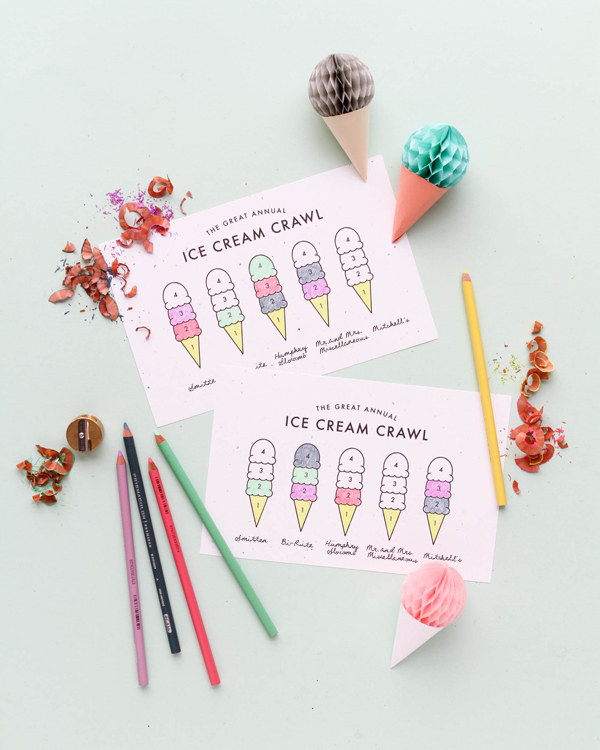 I never heard about ice cream – pizza – or any crawl at all here in France but it looks so funny and now I want to try it ! Maybe could I turn it into a French version – a bakery crawl with baguette and croissant could work, isn’t it? Thanks for sharing it ! * oh, yes, in fact some French make wine crawl – with Beaujolais nouveau for example. Easy to combine with cheese crawl too ( and bread, of course ) but it’s better to plan a taxi and some sport after that ! This is the greatest thing I’ve ever heard of!!! I totally could do this by walking in my area. What a great idea! 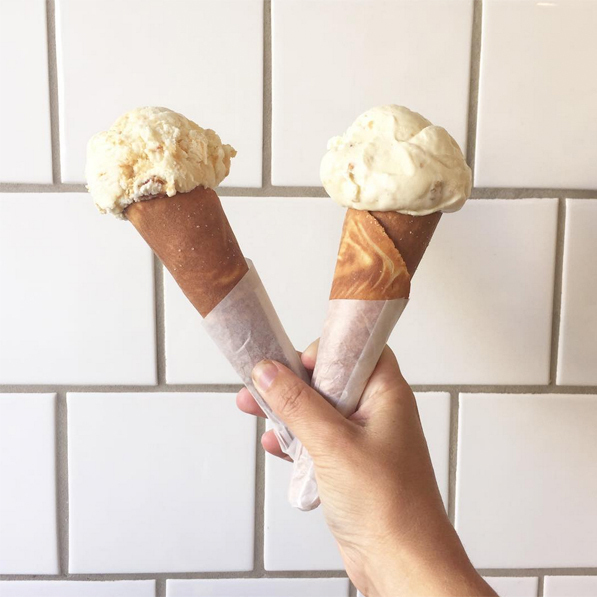 I loooove ice cream and I’ve never thought I could go on an ice cream crawl! Brilliant idea!